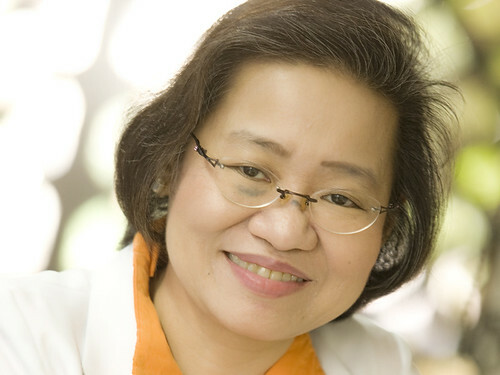 Dr. Alexis Socorro L. Reyes is recognized as one of the leading developmental pediatricians in the Philippines; and is a sought-after speaker and resource person on the management of developmental disabilities. She serves as a technical adviser to the Board of Trustees of the Autism Society Philippines. Dr. Alexis answers some questions raised during the 13th National Autism Conference. How do we classify autism -- a behavior condition or cognitive disorder? Autism Spectrum Disorder is still classified as a neuro-developmental disorder and has associated co-morbidities like intellectual disability or mental retardation. It is a unique and different classification separate from behavior disorders like ADHD and intellectual disabilities like mental retardation which has many causes. Autism numbers are increasing in other countries, how can we be sure this is the same for the Philippines? Prevalence has been established by different countries in their respective contexts. There is no prevalence in the Philippines; hence we are still working on data provided abroad and as such can only extrapolate from what is available. Should a 17-year old still see a developmental pediatrician? If not, what kind of doctor should he see? Until what age should he be monitored? If this 17-year old has not been diagnosed for a specific developmental disorder, he/she can see any of the following: a developmental pediatrician, a child neurologist or a child psychiatrist. Follow-up is determined by the nature and implications of the diagnosis. Is the DSM-V the new tool to be used by all developmental pediatricians? How do we know if they are using the latest assessment standards? Is it okay to ask? The DSM-V is a manual for mental health professionals and should be used as a set of guidelines; hence the diagnostic criteria for each of the different medical/psychiatric disorders. This is not a tool but is the basis for most tools. Your developmental pediatrician will know this and its clinical purpose. Does risperidone cause seizures? My son has been taking risperidone for almost 6 months and he started showing epileptic-like seizure. Risepridone does not cause seizures. It is difficult to determine whether this is a direct effect of this medication; because there are other important factors in place. More information is needed regarding this child’s history and diagnosis. If you have a question on autism and its management, send it to us via the form below and we will periodically publish the answers from Dr. Alexis. ASP reserves the right to screen or paraphrase the submitted questions. We will try our best to answer all questions; but we cannot guarantee if or when answers will be published. Note that this is NOT a replacement for bringing your child to a developmental pediatrician. Dr. Reyes can only share general answers, not specific to a particular person or case. This form is also not a means of requesting an appointment from Dr. Reyes.